1. This machine bracket is made of steel structure with seamless welding and tempering aging treatment. It has strong rigidity and is not easy to be deformed. 2. It adopts Japan Yaskawa servo drive system with high speed and high precision. 3. The tool magazine has 12 capacities, saving tool change time and improving production efficiency. 4.Taiwan TBI 25 square rail, double row four row ball slider, large bearing capacity, stable operation, high precision, long life. Double nut ball screw with high precision and precise undercut. and is well compatible with the processing code generated by Type3/Artcam/Mastercam/Caxa. 3D curve prediction algorithm, stable line, ensure curve running speed and accuracy. and the loading and unloading time of the plates is improved. Equipped with large independent cabinets, split keyboard operation, simple and convenient, easy to learn. This allows users to quickly and flexibly grasp the use of the device, and the independence is stronger. 8. The oil filling system can effectively lubricate the transmission part of the engraving machine and improve the service life of the machine. This machine is suitable for panel furniture, cabinet wardrobes, office furniture, custom furniture industry. cabinet cabinet, computer desk, panel furniture, office furniture, wooden speaker, wooden kitchen utensils. we will solve the problem for you in time. When you deliver the cost of accessories that need to be replaced, we will send you the accessories in time. We will send technicians to your country just to be able to provide you with better service. You only need to provide round-trip airfare for technicians. If the transaction is pleasant, you can also provide accommodation and meals for technicians. 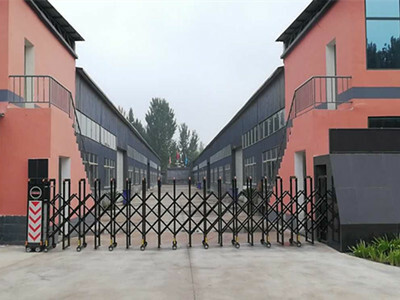 Jinan Jinshengxing Machinery Equipment Co., Ltd.
and the production and sales volume ranks in the forefront of the industry. woodworking three-dimensional embossing equipment, laser processing equipment, three varieties of more than 20 models. Products are exported to the United States, Britain, France, Germany, Canada, Russia, India, Southeast Asia, the Middle East and other dozens of regions. 1.Can I get a Cnc Wood Door Engraving Machine according to my own requirements? to your preferences and requirements, so that we can satisfy you. 2.I am a new Wood Cnc Lathe Machine operator. Do you provide training? our professional maintenance staff to repair the Wood Router Cnc Machine Woodworking Machine until it is repaired. 4.What's the quality of your Cnc Woodworking Machine? fine machining, which greatly improves the accuracy of machine operation.